Should faith overrule reason in matters of addiction treatment? Although millions of individuals are seeking care in the United States, few are getting the treatment needed for addiction. In fact, even fewer are being treated with scientific methods proven to work. This is troubling since, as we reported, the rate of success for addiction treatment is quite low. What has grown in popularity in the 21st century is treatment based on religious doctrine. We reported in part three of our series how this evolved from President George W. Bush’s policy of favoring faith-based treatment for government funding. But should faith-based recovery be favored? With the United States becoming less religious and church attendance declining, is this the best system to prop up? Are more Americans using internet research, rather than prayer, to make important life decisions? Should we continue to fund systems that might not be scientifically proven? Or systems that might actually increase the chance of failure? Or systems that isolate large segments of the population that want to get help? 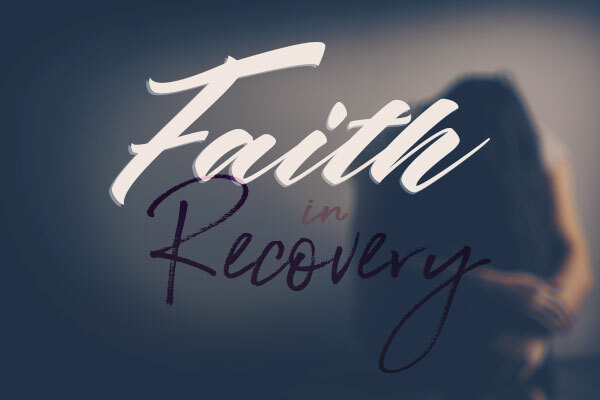 In our Faith in Recovery series, we have written about studies showing faith-based rehab programs are sometimes superior to a secular program. While this is true, there is still near-universal agreement there is insufficient research to draw widespread conclusions. While there is evidence linking religion to decreased drug and alcohol use, religion may actually make recovery harder in some cases. The behavior adjustment needed for long-lasting change can be tougher if you have religious convictions. Additionally, studies claiming the benefits of faith-based rehabs might be making an error in their conclusions. Participants in some of the most cited stories were exclusively religious. This means there was no control group or secular group to compare, hurting the credibility of said studies. Religious programs may work if you are religious, but might not work, or be counterproductive if you are not religious. Patients who successfully make it through a program might also be more likely to claim religion was a factor in their progress. Conversely, if you fail at rehab you are less likely to say religion was a factor in your failure. Who wants to say their god was part of the reason they were unable to overcome their addiction? The most prolific faith-based rehabs are Christian. Several religious groups have described it as “awkward” to be part of a treatment that does not connect to their personal belief systems. There are individual stories where people wanted treatment, but could not connect to the program’s religious themes. Some pagan groups have said they did not attend treatment or meetings because of how heavily the groups leaned toward Christian ideology. 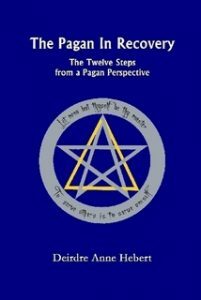 Although organizations like AA state the acceptance of a higher power in their rules can be consistent with any belief, including gods or a coven, Pagans, like several other organizations, were uncomfortable with AA’s 12 steps and devised their own. have rewritten the rules to include the Goddess and other symbols of worship. Charlotte Kasl has written Many Roads, One Journey: Moving Beyond the 12 Steps. In an interview with Spiritual Bizarre, she describes her 16 steps to recovery for women, Pagans, LGBTQ, etc. and how to navigate recovery based on your circumstances. While this does allow Pagans and Wiccans to resolve the tension between AA and Christianity, it still builds a faith-based approach: giving up oneself to a higher power and the condensed understanding of addiction as a binary, rather than a spectrum. In order to effectively combat addiction, it is important to understand the thinking process of an addict. A key part of treating addiction is changing behaviors. An addict has created patterns of acting to support their addiction. To be able to deal with their tendencies they will essentially need to create a new version of themselves. This can produce feelings of awkwardness and isolation. To further take individuals out of their comfort zone and the pressure to “convert” can make them shy away from even attempting treatment. This can be dangerous in areas where is there a lack of alternative options. In fact, this can be the only option for individuals. In 2014, Barry Hazel, a California inmate successfully sued the state when he was reincarcerated for a parole violation for failure to attend a faith-based treatment program that went against his atheist principles. This is a common problem. Drug offenders are forced to attend programs, like AA, that require a belief in a higher power. Notwithstanding the fact there is little evidence beyond personal anecdotes that AA is an effective treatment policy and most of the information about its success is based on anecdotal evidence, it forces individuals to use programs that will not be effective for them. Studies have also pinpointed faith-based programs that require giving up to a higher power, like AA, create an identity of victimhood. The acceptance of being powerless over their addiction as a prerequisite has been shown to make it less attractive to minority populations, who are sensitive to this identity formation. This is not to say faith-based rehabs do not work in general. But it can create a cover for untrained and unproven methods. In most of the country, any individual can claim to be a “pastoral counselor” or a “licensed pastoral counselor.” It is not a legally protected title. Even training programs that exist can be completed with as little as having a GED or a program lasting weeks. Usually, these programs do not emphasize scientific-based methods, so counselors could be doing more harm than good. Also, the personal belief of a counselor dictates what advice they can be giving patients. Without objective metrics for treatment, there can be radically different interpretations of religion and how to overcome addiction. Thinking that at least some treatment is given is mistaken. There is an opportunity cost for bogus treatments. The lack of promotion of treatment programs that use cognitive behavior therapy and prescription drugs, both proven methods, means that people are losing the potential for workable methods. And there might not be a second chance for patients. The adding of faith does not automatically make an addiction treatment program more effective. In fact, the use of faith may divert criticism or add value to a program that does not work. Each program offers unique advantages and disadvantages to each person. What has to be supported is offering education about the different options available. Rigorous evaluation and modification using the best available practices that lead to long-term results. For example, UCLA does have faith-based addiction treatment that operates in conjunction with prescription drugs and cognitive therapy. It is not hyperbole to state this is a life and death matter for untold numbers of addicts.